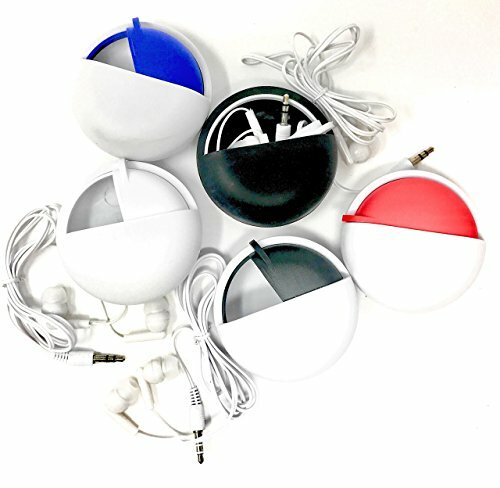 Bulk pack of five value earbuds in convenient travel cases. These buds are great in a pinch. And the case, with its rotating closure, is great for pretty much anything needing some security. Keep them all for yourself and pick color that fits your mood, or gift them as party favors. Earbuds are one size fits most. Note: The rotating closure is intentionally stiff to start to ensure a tight fit. It will relax over time.